Nairobi, a city known for its catastrophic traffic, fast paced dwellers, and home grown national park is most importantly growing a reputation of being a tech innovation centre, not only in our country, but in Africa as well. With many well-known technologies such as MPESA and Ushahidi garnering interest from all corners of the globe, Nairobi is slowly becoming an attractive tech innovation space with amazing opportunities for all who come here. I set out to do series of the tech spaces we have in and around Nairobi that offer people the proper environment to set forth and rule the technological world! So I grabbed a pen and paper (old school I know) and set out to google and identify as many spaces as I could. Once I had that list, I sent emails to most, if not all of them requesting the permission to come on over and take a few pics and learn a bit more about that space. 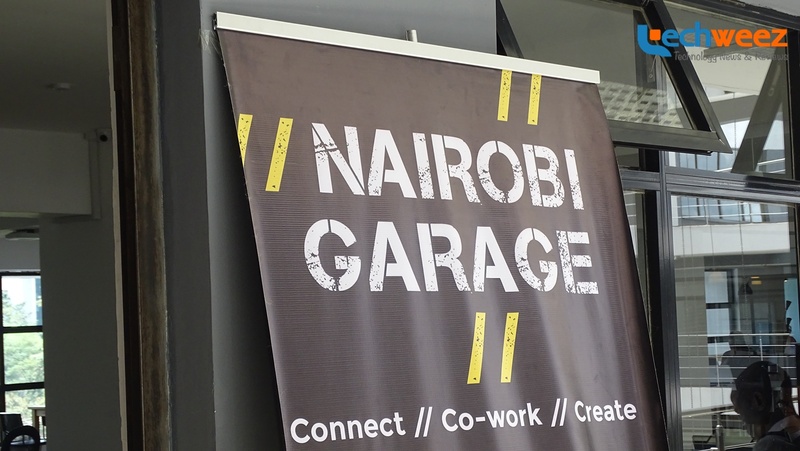 Nairobi Garage answered first and quite enthusiastically as well and I figured it would be a nice place to start and since I had been there before, also familiar. I set the date. As I was just about to leave the office on the set date, having carefully timed out my commute, this lovely lady Bree Wanjiru who I was communicating with asked to make sure I had the right offices. For a split second, I panicked thinking I would be late but I recalculated my commute and figured I would still make it in time for the appointment. With my new route in mind, I set off to the Mirage on Waiyaki Way. They currently have two spaces, the original one at Peidemont Plaza on Ngong Road and the second space at the Mirage on Waiyaki Way which they launched off with a party a few days after I visited. I got there with a few minutes to spare, having spent some time telling the guards that I am not there for a specific office, rather the space itself. That took a while! Nairobi Garage has taken up the M2 floor in the building, which is huge. First thing I thought about was the big upgrade this space is compared to the first one on Ngong Road, which I honestly thought was quite big as well. Since Bree wasn’t around just yet, I made myself comfortable on a VERY comfy grey lounge couch and looked around. As I sat there, one thing that was evident is how ridiculously open the space is. I could see rows and rows of desks on each side of where I was seated. The entire exterior wall of the space is windows, which results to loads of natural light flowing in and amazing views as far as your eye can see. I was envious of these guys using all that light to just type on their computer. To be fair, I’d probably do the same thing. Talking about the people there, everyone looks like the have a purpose. Well, you would expect that if they are there. I could see some sitting by themselves working on their laptops and others were in teams huddled up around a desk. As i took time looking at them imagining what they could possibly be working on, Bree came in apologizing for the few minutes I waited, of which I did not mind and off we went ahead with the tour. A few facts first, the space can accommodate around 400 desks which I believe is the largest co working space we have around, hence the seemingly endless sea of desks I saw. One side of the space comprises of carefully segmented meeting rooms on your left or right depending on where you are standing (helpful right?) On the other extreme side houses some partitioned offices with glass walls again keeping true to the open design throughout the offices. In the middle sits the desk, both flexible and fixed. We entered one segmented space and Bree goes ahead to introduce me referring to an email she had sent to everyone a day earlier. “This is Sally, the blogger I told you about who was coming to take pictures” Bree says. We did this to all the all other partitioned spaces with people doing amazing work and who have the option of having affordable and well-designed spaces as provided by Nairobi Garage. The narrative went the same way each time. Bree would tell me about who we are meeting next, go in and laugh a little with them then say I’m the photographer who was coming I’d I would add in ‘amateur’ and go ahead taking pictures. The general atmosphere here is that this is some kind of family, where everyone knows each other and there is an atmosphere of collaboration. Bree made sure that she introduced me to as many companies and individuals that she could, while at the same time making sure I knew what each of them did. All work without play makes Jack (or was it John?) a dull boy. Sometimes we need to relax. There are number of well-placed and designed lounge areas, where Bree went on to tell me that guys like sitting there to unwind and maybe take little power nap?? There is a kitchen as well allowing occupants to carry some food and make some tea and coffee which can come real handy for techies who never want to be too far from their computer. Bree went on to show me that other than those who have desks in the huge floor space, tenants like Uber, MiFone and Geopoll can be found just next door in their own fully customizable spaces. Overall, this is a pretty fantastic place. Its open and free, allowing ideas to flow freely. For all you techies who do not have the need for a dedicated office, a co working space like this one might be what you need to grow your company. Great and an eye opening article, thinking of seeking space there for my Alpean Solutions company!! there’s Nairobi Garage? Wow! I just know iHub. Let Tech Grow.